Happy Monday to ya'! Gosh, can you believe this is the last week of January!?! I'm actually looking forward to the end of the month...with the stock show, heading up a 5K race (this week), homeschooling, all a million other things...February promises a bit more relaxation and free time in our schedule. Hopefully. Speaking of time, I've always been one that hates taking the time to shave (especially when I'm in a hurry), but kind of always thought hair removal wasn't an option for me because of my blonde leg hair and light skin. My SIL did it and swears it was the best things she's ever done. 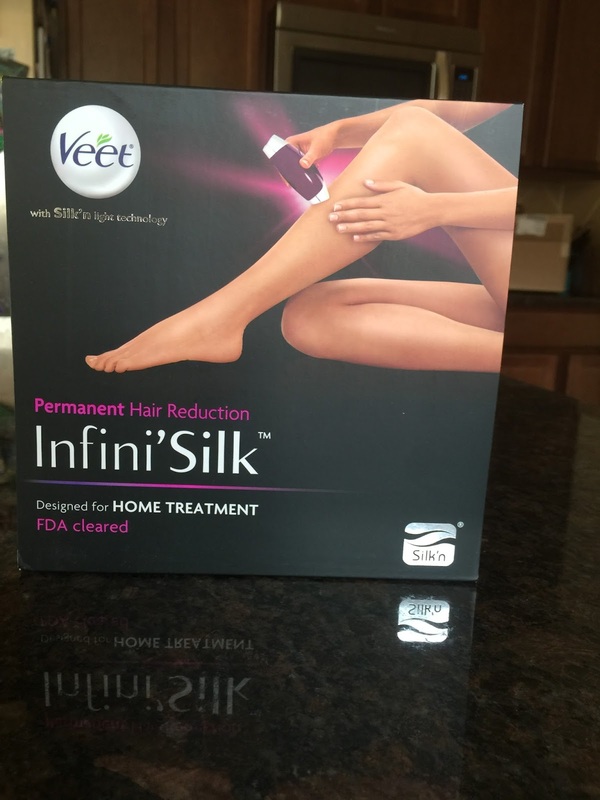 I've heard success stories from several other people as well....so when I was given the opportunity to review the Veet Infini'Silk hair removal system, I jumped at the chance! 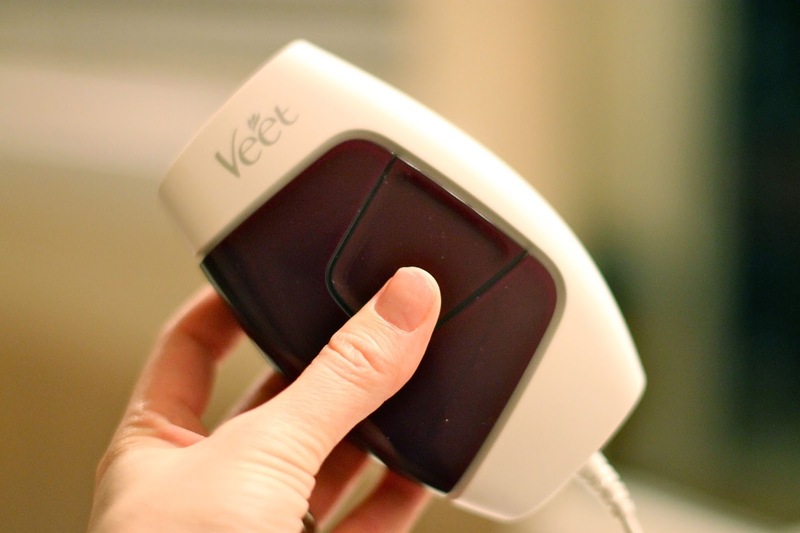 The Veet Infini'Silk uses intense pulse light (IPL) to gradually reduce hair growth over time. So I just did my first treatment this past weekend and will do my next in another week...the full process takes a few months. 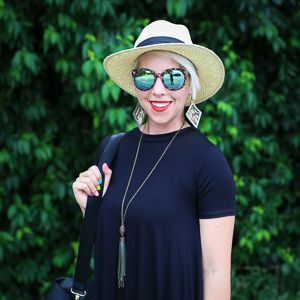 I treated my underarms, my legs, and my bikini line, and I'll tell you what...this was the most easy, painless, no-brainer process I could have imagined. I've always heard that permanent hair removal is pretty painful, so I was expecting some kind of sting, but none so far. All you do is place the Veet on your skin and a flash of pulse light happens almost immediately...then you move it to the next spot. Moving forward, you can increase the energy level as needed. My whole idea that my skin and hair is too light was not an issue, as the Veet has a sensor to detect skin color compatibility and will not emit the pulse light if it won't work for you...how cool is that? I'm excited to post again in a couple of months to give you an update on how it's going! Let me know if you have any specific questions about the Veet Infini'Silk that you'd like me to answer along the way! I want to do it on Brent's back (sorry if that's TMI)...think it would work on a bigger surface like that? I'm so excited to see how this works for you, this is a product I would totally try out! Ted Baker Outlet uk cheap secretly Ted Baker Outlet uk laugh, you were, dare cheap ted baker dresses I fight, you still inexperienced. I mean I Ted Baker Outlet uk picked that one hundred dollars, not cheap ted baker dresses us, not in your pocket it. cheap from his pocket money, no Ted Baker Outlet uk matter clutching ted baker uk sale hair look almost crazy, give money to the .